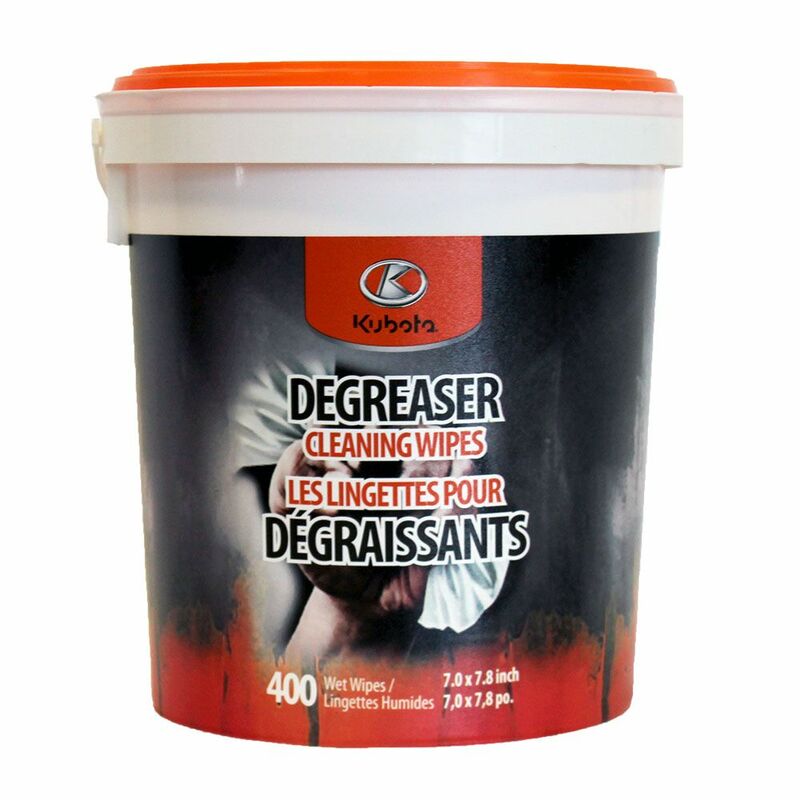 These Kubota Degreaser Cleaning Wipes quickly removes oil, grease and grime from hands while remaining gentle to your skin. Perfect for mechanics, carpenters, gardeners. Lightly fragranced. Heavy-Duty Degreaser Wipes These Kubota Degreaser Cleaning Wipes quickly removes oil, grease and grime from hands while remaining gentle to your skin. Perfect for mechanics, carpenters, gardeners. Lightly fragranced.